Blade tempered for strength and lacquered to prevent rust. Unique riveted handle-to-blade mounting, rivets do not penetrate blade. Even wear rate on blade. A light lacquer is applied to the base of every blade of the finished product, its purpose is to prevent rust whilst being stored and transported. The lacquer can easily be removed before using the product and any peeling will not result in a problem with the blade. 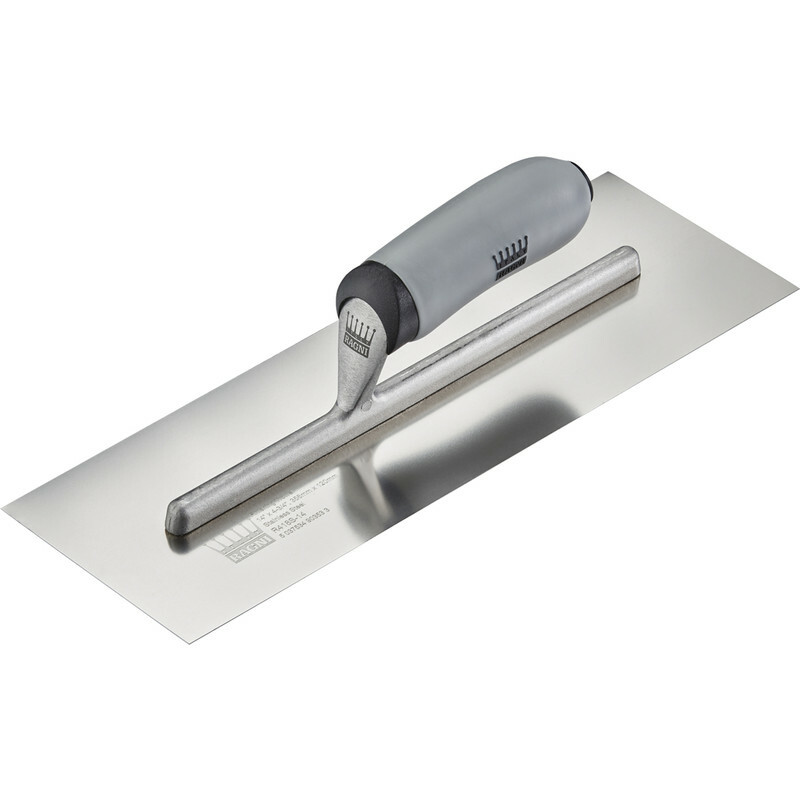 Ragni Soft Grip Skimming Trowel 14" Stainless Steel is rated 5.0 out of 5 by 1.